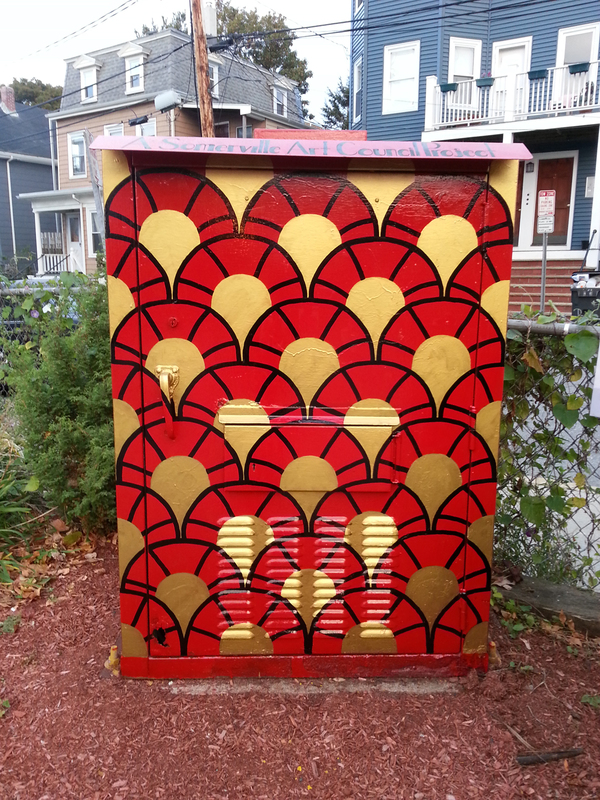 "For this switchbox in the heart of Teele Sq. I wanted to continue with the theme of all-over repeating surface pattern that I started with my first switchbox on Holland Ave. The design I choose was inspired by the patterns of the art deco period and the colors were taken from those of the fire trucks at the Somerville Fire Station that the box stands in front of. The elevation of mundane objects into works of art is a theme that runs through all of my work, and hopefully with its new coat of paint this switchbox will serve as an unexpected piece of art and thing of beauty for passersby to enjoy for years to come."